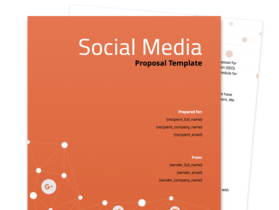 Your advertising agency proposal needs to stand out from the rest. Competition is stiff, and a bad proposal will send you right down to the bottom of the pile. 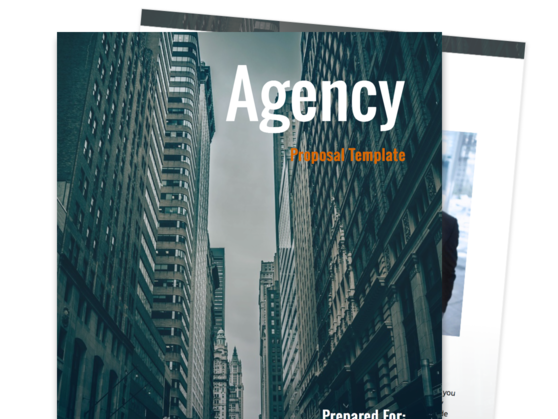 Our agency proposal template gives you a leg up with a professional, concise proposal design. 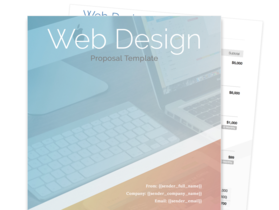 The template includes sections for your mission statement, company background, an estimate, and other options. Take advantage of a convenient, ready-made advertising agency proposal that you can customize according to your needs. Effectively introduce your advertising agency to prospective clients, and highlight your expertise in creating tailored and valuable marketing communication campaigns that deliver results. Acquaint your client regarding your different areas of expertise, be it branding consultation, above-the-line advertising, below-the line advertising, social media marketing, outreach programs, special events, or any other. 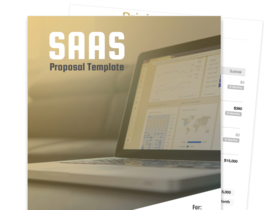 Clearly describe your planned deliverables, and afford your prospect a transparent, easy-to-understand project cost estimate. Advertising agencies with a passion for client servicing, creative thought, and in producing marketing communication solutions. Before being able to sell a client’s products or services through branding and advertising strategies, you first have to sell your agency to that prospective customer. This section provides you an opportunity to do just that by setting the tone for the rest of your proposal and affording a brief preview about what your company can offer. Let your potential customers know about your agency’s unique selling points. In this section, you can talk about your areas of expertise and what sets you apart from the rest of the players in the advertising industry. This way, you can convince your prospect further that your agency is home to the right people for the job. Your mission statement is your company’s clear, written statement of purpose. It serves as your guiding star, helping you determine your company’s direction for the future. Aside from this, however, it also allows a prospective client to gain insight into what your strategies will be like and how these can shape your business relationship with them. It also helps to provide your client a sneak peek into how you work and what types of services you offer. These can include advertising for print, radio, television, and the internet; social by design campaigns; influencer outreach programs; branded entertainment; digital marketing; experiential events; below-the-line advertising; and many more. This section describes the individual components of your engagement with the client along with the corresponding fees that they have to pay.